The officials said that one of the advisers picked up on the calls was Paul Manafort, who was Mr. Trump’s campaign chairman for several months last year and had worked as a political consultant in Russia and Ukraine. The officials declined to identify the other Trump associates on the calls. The call logs and intercepted communications are part of a larger trove of information that the F.B.I. 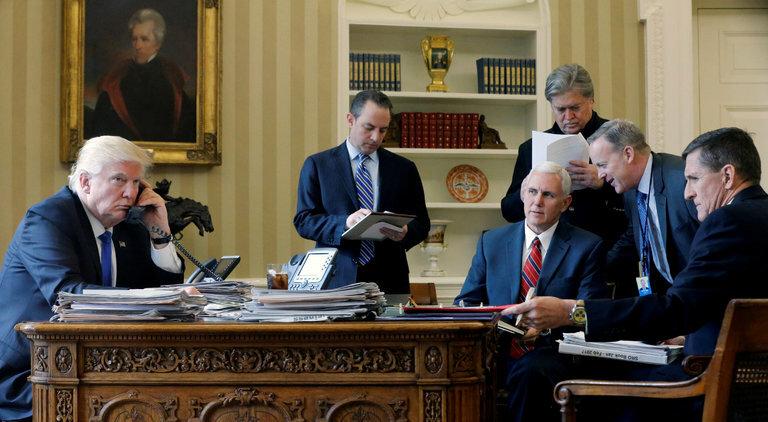 is sifting through as it investigates the links between Mr. Trump’s associates and the Russian government, as well as the D.N.C. hack, according to federal law enforcement officials. As part of its inquiry, the F.B.I. has obtained banking and travel records and conducted interviews, the officials said. Officials would not disclose many details, including what was discussed on the calls, which Russian intelligence officials were on the calls, and how many of Mr. Trump’s advisers were talking to the Russians. It is also unclear whether the conversations had anything to do with Mr. Trump himself. A published report from American intelligence agencies that was made public in January concluded that the Russian government had intervened in the election in part to help Mr. Trump, but did not address whether any members of the Trump campaign had participated in the effort. The intercepted calls are different from the wiretapped conversations last year between Michael T. Flynn, President Trump’s former national security adviser, and Sergey I. Kislyak, the Russian ambassador to the United States. During those calls, which led to Mr. Flynn’s resignation on Monday night, the two men discussed sanctions that the Obama administration imposed on Russia in December. The White House did not immediately respond to a request for comment. The F.B.I. declined to comment. Two days after the election in November, Sergei A. Ryabkov, the deputy Russian foreign minister, said that “there were contacts” during the campaign between Russian officials and Mr. Trump’s team. “Obviously, we know most of the people from his entourage,” Mr. Ryabkov said in an interview with the Russian Interfax news agency. The National Security Agency, which monitors the communications of foreign intelligence services, initially captured the communications between Mr. Trump’s associates and Russians as part of routine foreign surveillance. After that, the F.B.I. asked the N.S.A. to collect as much information as possible about the Russian operatives on the phone calls, and to search through troves of previous intercepted communications that had not been analyzed. The F.B.I. has closely examined at least four other people close to Mr. Trump, although it is unclear if their calls were intercepted. They are Carter Page, a businessman and former foreign policy adviser to the campaign; Roger Stone, a longtime Republican operative; and Mr. Flynn. Senior F.B.I. officials believe that the former British intelligence officer who compiled the dossier, Christopher Steele, has a credible track record, and he briefed F.B.I. investigators last year about how he obtained the information. One American law enforcement official said that F.B.I. agents had made contact with some of Mr. Steele’s sources. 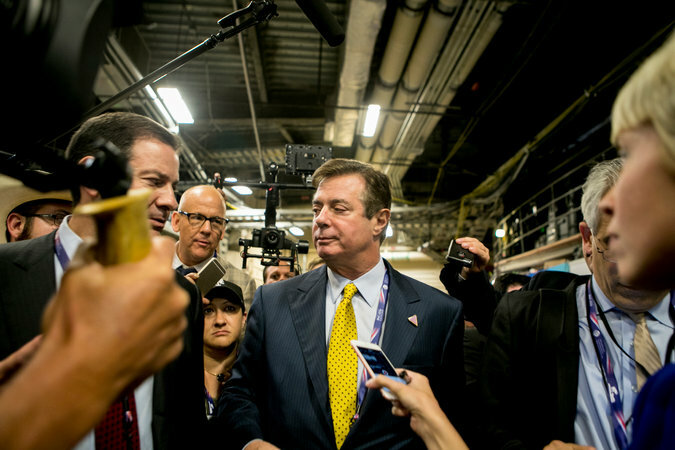 The F.B.I.’s investigation into Mr. Manafort began last spring as an outgrowth of a criminal investigation into his work for a pro-Russian political party in Ukraine and for the country’s former president, Viktor F. Yanukovych. The investigation has focused on why he was in such close contact with Russian and Ukrainian intelligence officials. The bureau did not have enough evidence to obtain a warrant for a wiretap of Mr. Manafort’s communications, but it had the N.S.A. closely scrutinize the communications of Ukrainian officials he had met.